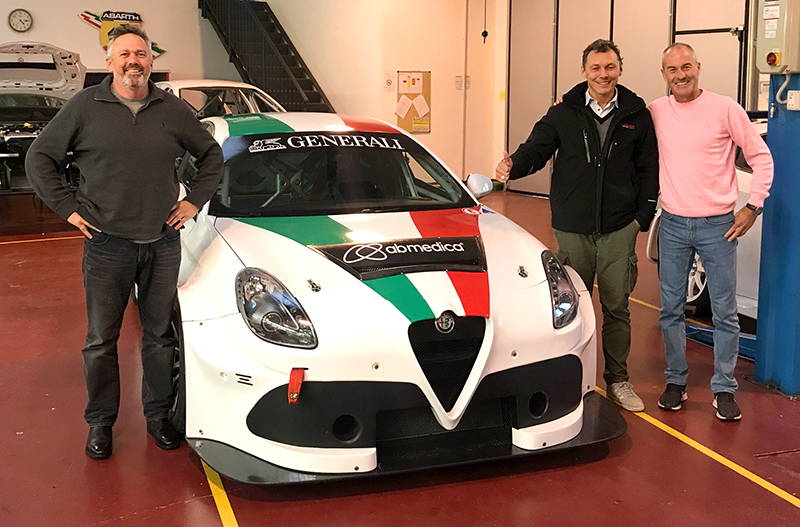 GRM head engineer Richard Hollway with Mario Ferraris and Barry Rogers at the Romeo Ferraris race shop in Milan, Italy. "To have been offered the opportunity to link with Garry Roger's Motorsport is a great honour,” said Jimmy Vernon. "I can't wait to cast my eyes over the brand new 2019 specification Alfa Romeo TCR car. I believe we will be bringing a really strong package to the category. "I want to thank Garry and Barry for believing in me and giving me a chance to join their highly credentialed team."